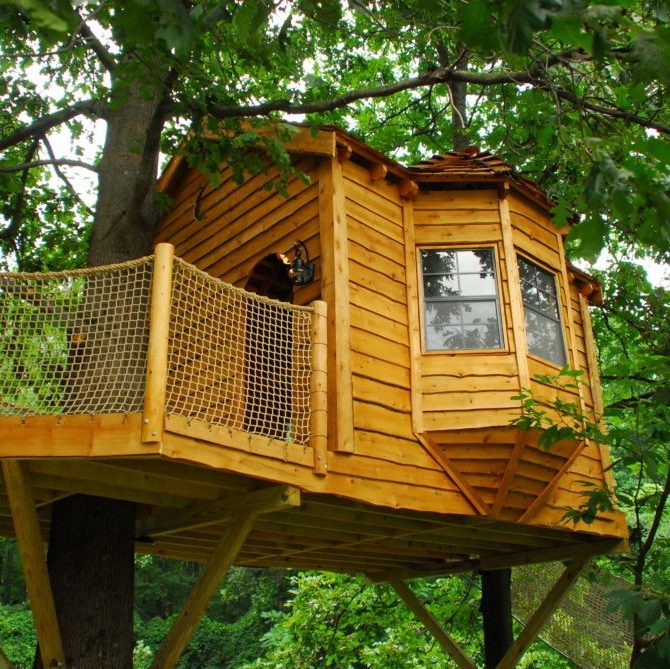 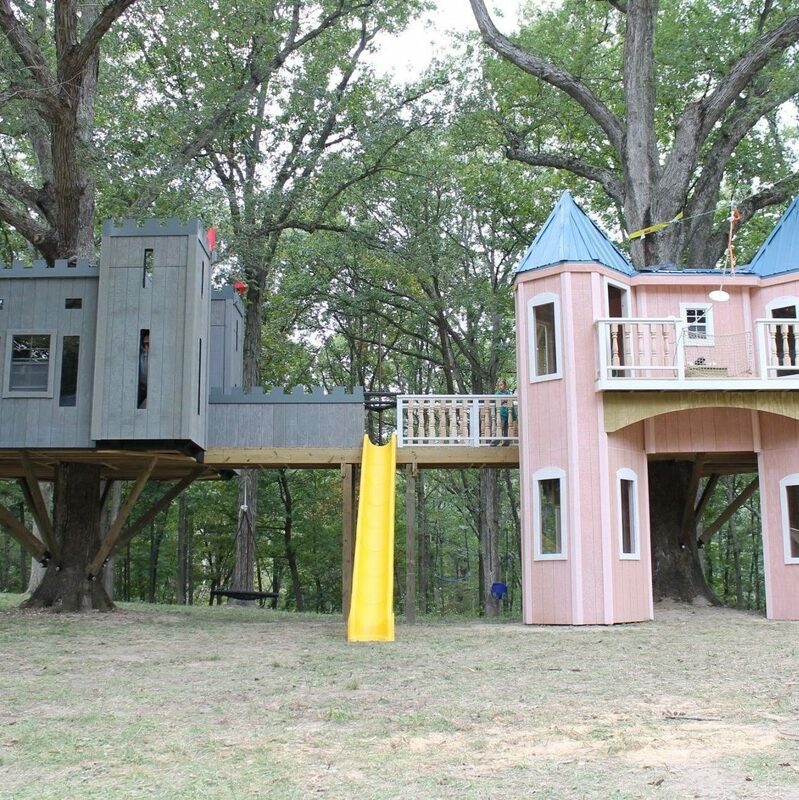 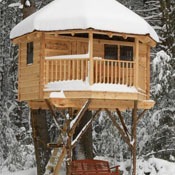 Welcome to Our Gallery of "Over the Top" Backyard Treehouses! 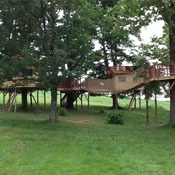 Click on any image below for more photos and information about each treehouse. 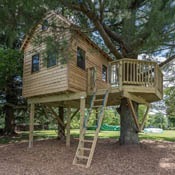 These projects are not intended for commercial or overnight use, except in a camping style accommodation like sleeping bags in the loft or blow up mattresses. 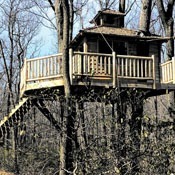 Treehouse projects in this category are larger, often have multiple tree platforms, and may have some kind of lighting, finished interiors, bridges, multiple stories, or other more complex features. 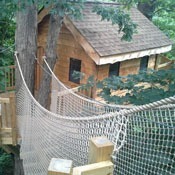 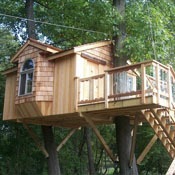 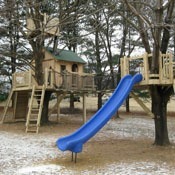 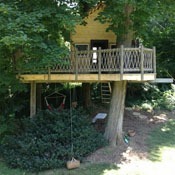 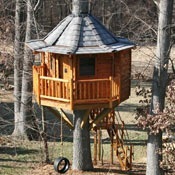 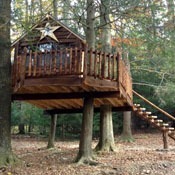 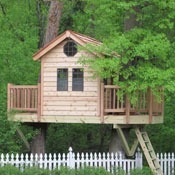 Click on the treehouse pictures to see some of the forms that our best residential treehouse projects can take. 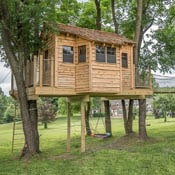 Project design is usually quick, but may or may not require permits and engineering, depending on the local building and zoning departments. 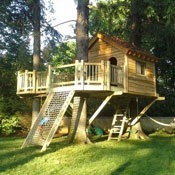 Most advanced residential projects will take 2-6 months for design, engineering, and construction. 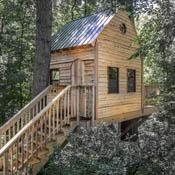 Projects have a higher cost (compared to our basic residential treehouses) due to greater size, more platforms, more features, and more ammenities. 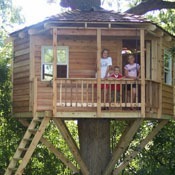 Most advanced residential treehouse projects will cost $30,000 to $100,000.